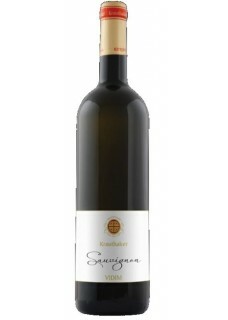 Kutjevo, Sauvignon Blanc variety, wine is matured in stainless steel vats to preserve fruitiness and freshness, designated as quality wine with Protected Designation of Origin (AOC), dry, 13.5 % alcohol content by volume, non-filtered, 0.75 l.
After a modern style, quite dynamic, aromatically moderate with sufficiently expressed fruitiness, warm, of strong spine and sufficient flesh around it, quite lasting. Of beautiful, vibrant and full straw yellow colour with a slight greenish hue, exhibiting slowly trickling tears on the inside of a glass. Aroma is discreet yet distinct, opening with a mellow smoke overtone, followed by sensation of some timber, subsequently followed by traces of (white) fruits and floral overtones, spices. Very vibrant on the palate, with good acidity, pleasurably bitterish, mildly piquant, rounded, warm, of solid body, lasting.